We’re thrilled to welcome you to The Fifth Annual SOMETHING ELSE! Festival of Creative Music! All of us are eager to share with you a full spectrum of some of the finest in newer traditions in jazz, improvised music and more… always vital, adventurous, creative …all at 126 James St. N., except a free event at the Central Library… 30 sets of music and dance, a workshop to be enjoyed and moved by… over 5 days, 7 ticketed events! 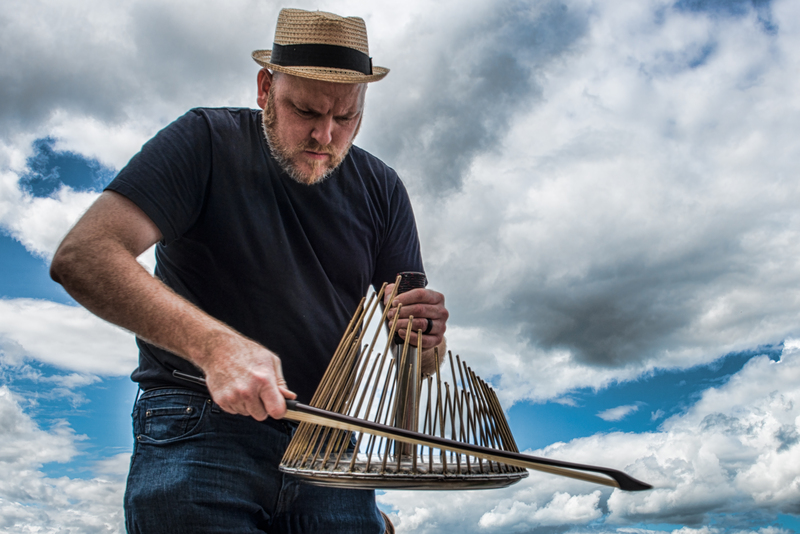 We heartily welcome 2018 Artist-in-Residence, Ottawa resident Jesse Stewart, a renowned drummer, teacher, improviser, visual artist, composer, instrument builder, percussionist with so many exciting projects and artists. Much more about Jesse below, throughout our website and program. Jesse Stewart will perform with many visiting and local artists and had a major hand in shaping the festival. Eugene Chadbourne (US) • William Parker (US) • Joe McPhee (US) • Michael Snow (CA) • Roger Turner/Monicker (UK/CA) • Susan Alcorn & Amy Brandon (US/CA) • Will Guthrie (FR) • David Mott (CA) • Heather Cornell (US/CA) • Nicolas Caloia (CA) • Artifacts Trio (US) • The Young Mothers (US/NO) • Parker & Nicholson’s Hope Cries for Justice (US) • Gord Grdina Quartet (US/CA) • Cluttertones (CA) • Sick Boss + Löve (SE/CA), and more! We thank you -our attentive, loyal audience- and the Ontario Arts Council and the City of Hamilton, for all the kind, continuing support and interest in helping realize, what we believe to be a phenomenal year for vital, adventurous, creative live music in Hamilton. Enjoy! His music has been documented on over twenty recordings including Stretch Orchestra’s self-titled debut album which was honoured with the 2012 “Instrumental Album of the Year” JUNO award. 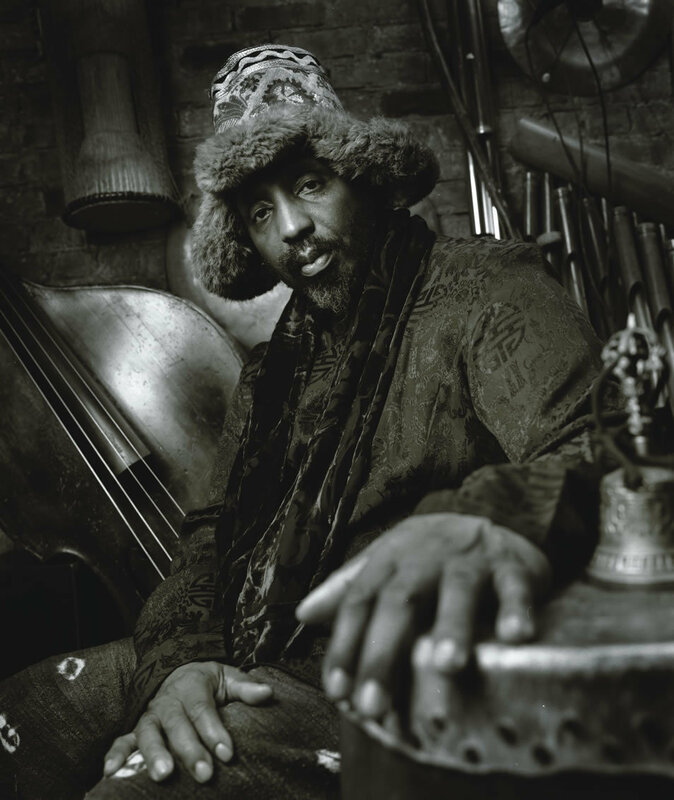 He has performed and/or recorded with musical luminaries from around the world including Jacques Israelievitc h (former concertmaster of the Toronto Symphony), William Parker (acclaimed New York City jazz bassist, described as “the most important leader of the current avant-garde scene in jazz” by the Boston Globe), Pauline Oliveros (called the “godmother of American experimentalist music” by New Yorker magazine), Evan Parker (one of the founders of European free improvisation), Hamid Drake (master drummer and percussionist), Roswell Rudd (legendary jazz trombonist), Jane Bunnett (multiple Juno winner and Grammy nominee), Ernst Reijseger (Dutch cello virtuoso), Pandit Anindo Chatterjee (one of the world’s foremost tabla virtuosos), Dong-Won Kim (master Korean percussionist and member of Yo-Yo Ma’s Silk Road Ensemble), and many others. He performs regularly with Stretch Orchestra (with Kevin Breit, Matt Brubeck), the Sonoluminescen ce Trio (with David Mott and William Parker), the Stream Quartet (with David Mott, Peter Lutek, and Justin Gray), and in various groups under his own leadership. His music has been featured at festivals throughout Canada, the United States, and Europe. 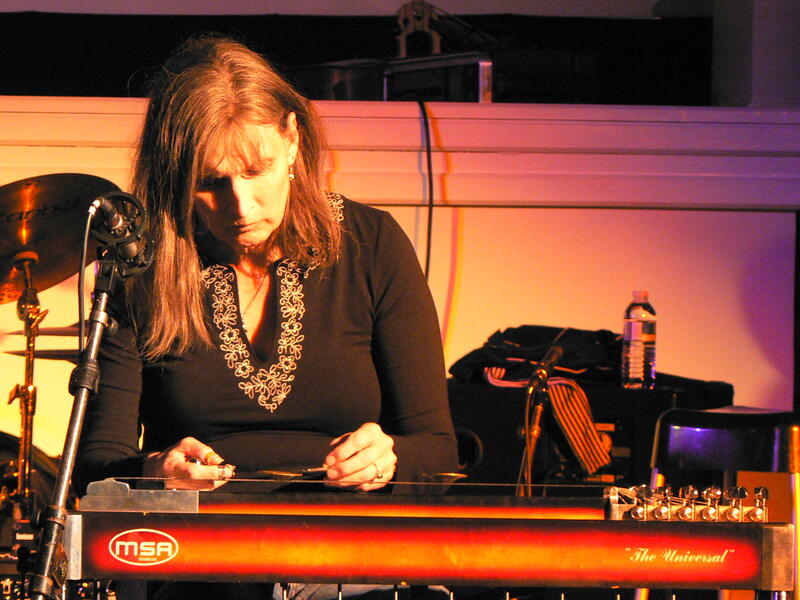 He has been widely commissioned as a composer and sound artist. 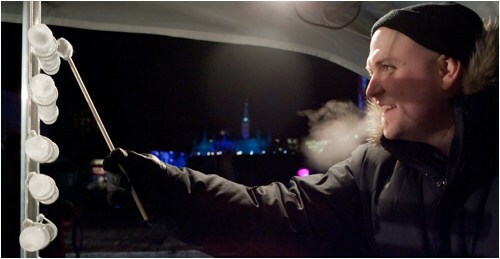 In 2010, he was commissioned by the National Capital Commission in Ottawa to create an extended composition to be performed at the Winterlude Festival on musical instruments that he designed and built out of ice. Other organizations that have commissioned him include the Guelph Jazz Festival, Ensemble Supermusique, the Department of Canadian Heritage, the Ottawa Chamber Music Festival, the Electric Fields Festival, the City of Toronto, the Chinese Canadian Heritage Centre, Propeller Dance, Ottawa Dance Directive, and the Ottawa Art Gallery. He endorses Headhunters brand drumsticks and brushes. In addition to drum set, he performs on a wide variety of percussion instruments including many of his own design that he has built out of such unconventional materials as stone, glass, ice, canoe paddles, and cardboard. In 1993, Jesse was named “Outstanding Young Canadian Jazz Musician” by both the International Association of Jazz Educators and Jazz Report magazine. 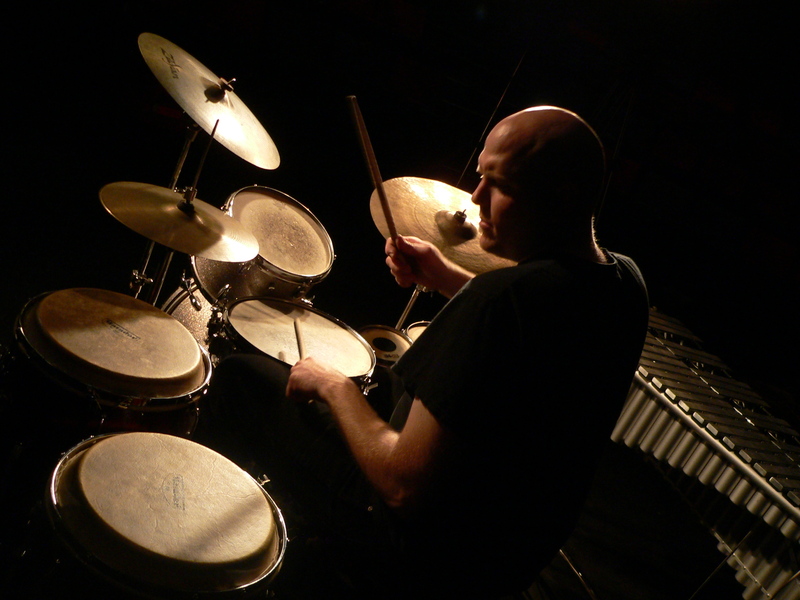 He has been described as “one of the finest young drummers and percussionists on the scene today” (Frank Rubolino, One Final Note Summer/Fall 2002) and “one of the most innovative musicians in Canada” (OttawaJazzScene, 2015). His work has been heralded by critics and journalists around the globe who have described it as “truly exciting” (Musicworks 76), “exceptional” (Cadence Oct. 2002), “phenomenal” (Cadence Nov. 1999), “ingenious” (Exclaim! June 2006), and “brilliant” (Truths for Serious Drummers, 2012). “Stewart quietly opens the door for us to a limitless world of delicate sonic beauty” writes Randy Raine-Reusch in Musicworks 97. “Highly recommended ear-cleansing” states a review in Italy’s Touching Extremes (2007). “Jesse Stewart is an eloquent and poetically powerful percussionist, composer, improviser and teacher—a man of ideas and inventions,” writes jazz legend William Parker. “Jesse is an incredibly innovative artist. 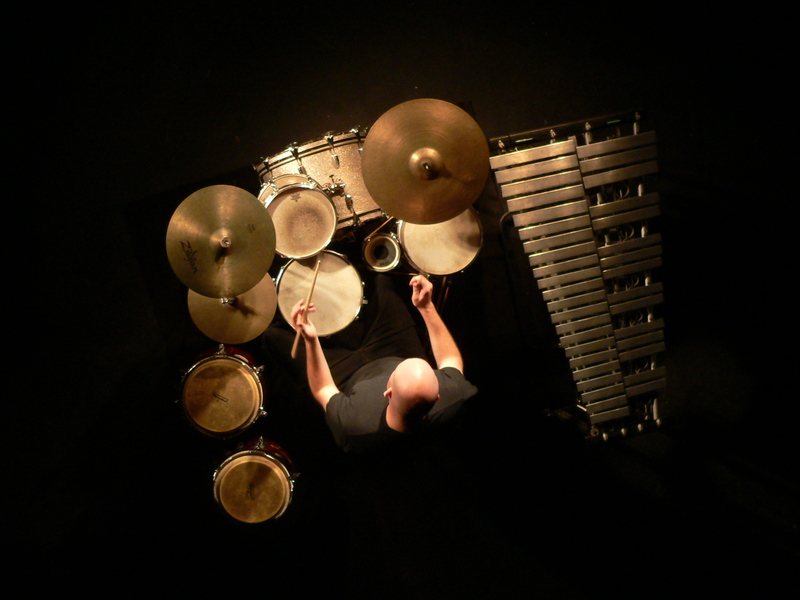 He’s a performance artist, he’s a jazz drummer, he’s an incredible creative force” states Roman Borys, cellist with the internationally acclaimed Gryphon Trio and Artistic Director of the Ottawa International Chamber Music Festival. Jesse is an Associate Professor of Music at Carleton University where he teaches courses in composition, improvisation, instrumentation, jazz history, music and visual culture, popular music studies, and music and social justice. As a scholar, he has published widely on the subjects of music and art. His publication record includes 2 forthcoming books (one under contract with Duke University Press and another with the University of Toronto Press), 7 chapters in edited books and over a dozen essays in scholarly peer-reviewed journals. In addition, four catalogues have been published about his own work in the visual arts. He has been an invited keynote speaker at numerous events, both academic and non-academic, in Ottawa and abroad. He has given talks at over 50 conferences and colloquia at institutions around the world. In 2013, he was the recipient of the Marston LaFrance Research Fellowship at Carleton University, the Faculty of Arts and Social Sciences’ “senior award, intended for applicants with a very significant track record of outstanding research.” In 2014, he received the Faculty of Arts and Social Sciences’ Teaching Achievement Award in recognition of outstanding teaching. In 2015, he received a university-wide Teaching Achievement Award, Carleton’s highest honour for teaching excellence. Jesse Stewart Ensemble presents “Glacialis” at commencement of Winterlude a the Canadian Museum of Civilization. In addition to his work in the field of contemporary music, Jesse is an active visual artist and sound artist who has shown work in solo and group exhibitions throughout Canada and in the United States in public art galleries including the Museum of Contemporary Canadian Art, the Robert McLaughlin Gallery, the Thames Art Gallery, the Glenhyrst Gallery, the Peterborough Art Gallery, and the Macdonald Stewart Art Centre. In Ottawa, a retrospective of his work titled Time Pieces was held at Ottawa’s Karsh Masson Gallery in 2011. In 2010, he curated an exhibition of work by Governor-General’s award-winning artist David Rokeby at the Carleton University Art Gallery. In 2014, he co-curated a multi-institution exhibition of work by Ottawa artists with disabilities, one of the largest such exhibitions in Canadian history. 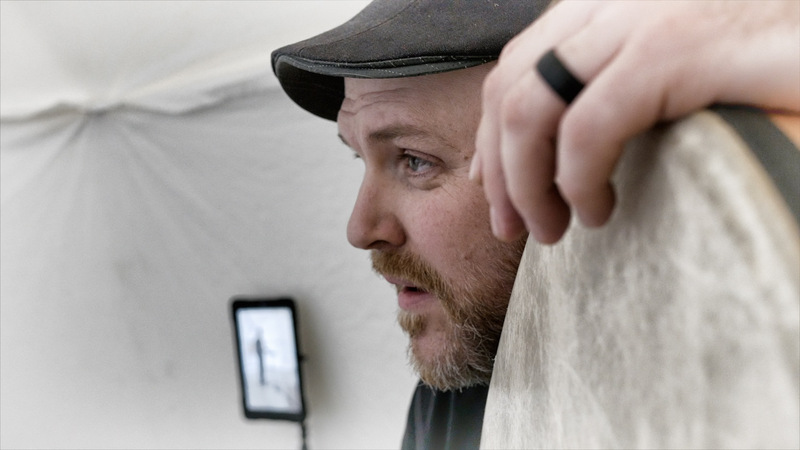 Jesse is the 2015 Artist-in-Residence at the “Diefenbunker,” Canada’s Cold War Museum. Four exhibition catalogues have been published about his work in the visual arts. He is also the co-founder and co-director of Mixed Metaphors Design, a design company dedicated to creating interactive art installations that engage both the visual and aural senses. In June 2015, Mixed Metaphors Design was awarded a major public art commission to create a large sound sculpture called “The Listening Tree” in St. Luke’s Park in Ottawa, Canada. In addition to his professorship in music at Carleton University, Jesse is an adjunct faculty member in the Visual Arts department at the University of Ottawa. A past recipient of the Terry Fox Humanitarian Award in recognition of his commitment to volunteerism and community activism, Jesse is committed to fostering community health through music, art, and education. As a means to that end, he has taught three classes through Discovery University, a program run by the Ottawa Mission that provides free university-level courses—taught by university professors—to individuals experiencing homelessness or poverty. In the Fall of 2014, he taught a course titled “Improvisation in Theory and Practice” through Discovery University that culminated in a performance by the class at the National Arts Centre on December 1, 2014. Jesse is also the founder of “We Are All Musicians” (WAAM), an organization dedicated to providing opportunities for individuals and groups to make music regardless of age, musical training, socio-economic circumstance, physical and/or cognitive disability. Through the WAAM initiative, Jesse has conducted dozens of inclusive music workshops and performances throughout Ontario, including many in Ottawa. For example, he was the 2013-2014 artist-in-residence at Regina Street Public School, a school in Ottawa’s west end that has a diverse body of students including many from disadvantaged backgrounds. Together, the students of Regina Street Public School and Jesse co-created a piece titled “Mud Lake Symphony,” that has been performed multiple times. Jesse also collaborated with the artists at H’Art of Ottawa, an organization that provides opportunities for artists with intellectual disabilities to make art. Together, they co-created and staged a multi-media musical theatre piece at the National Arts Centre 4th Stage on April 30, 2014—an event that raised over $3500 for H’Art of Ottawa. Other WAAM projects include collaborations with Kidsability in Guelph, Ontario, an organization that helps children with physical and cognitive disabilities; Propeller Dance, a mixed-abilities professional contemporary dance troupe based in Ottawa; Minwaashin Lodge, a resource centre for Aboriginal women and youth; and the Alzheimer’s Society of Ottawa-Carleton.